When I was little, I had one Easter morning I’ll never forget! It wasn’t because of the presents I received, but because of the thrill of the hunt! 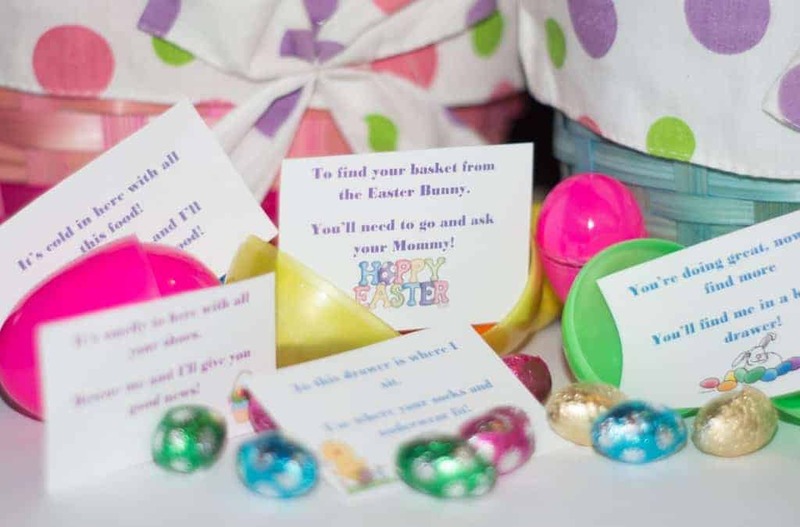 My stepmother made the usual Easter egg hunt extra special with some fun, rhyming riddle clues to find each egg! Now I do the same clue hunt each Easter with my own kids each year. That Easter was one of my best childhood memories, just because of the excitement of finding and solving those silly, rhyming riddles. If you are looking for an easy and last minute way to may this Easter Egg-stra special, download these free riddles today! Download your own copy of the FREE EASTER EGG Riddles – Easter Egg Riddles – Enjoy and have a Happy Easter!